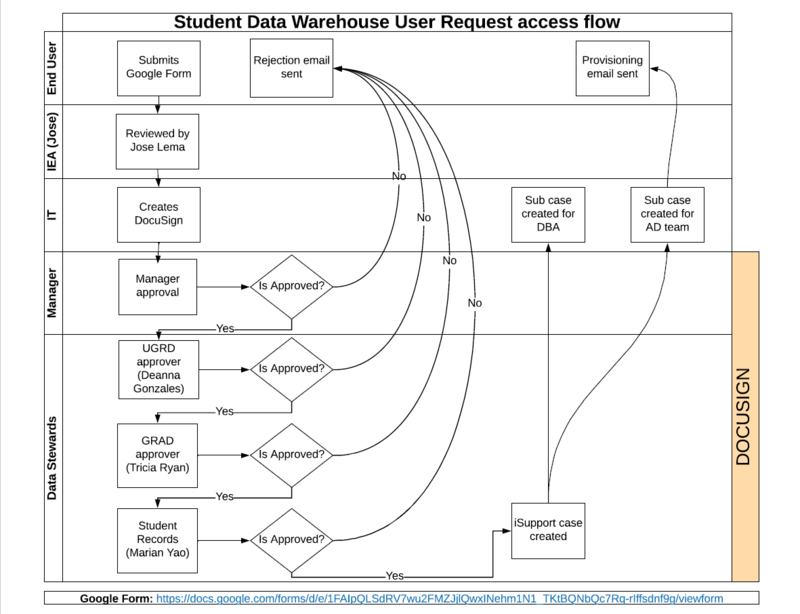 To request access to the Student Data Warehouse, complete the Student Data Warehouse Request Form. The form provides Institutional Effectiveness and Analytics (IEA) and Information Technology (IT) with information about your data needs and confirms that you have completed the required data security training. If all requests are approved, you will receive an e-mail confirmation. If your request is not approved at any point in this process you will also receive an e-mail. The access request and approval process is summarized in the diagram below.